Loading Rate: Part 2: Forefoot, midfoot, rearfoot……..Who cares? Yesterday we briefly discussed the idea of loading rate, and why it matters to you as a runner. Today we’ll talk of the 3 primary ways runners can change loading rate, and likely dispel some myths while doing so. If I ruffle some feathers while doing this, don’t get frustrated. Its good to stretch you brain. Let’s look at what we do know about loading rate, and what is a bit fuzzy. Changing limb stiffness through feedback training. ****Warning – some of this gets a bit tedious, but there has been a lot of request for this information lately, so lets dive in shall we? Let’s get right to the hot topic. Should you land on you forefoot, midfoot, or rearfoot? Right below, is a graph of a runner landing with a midfoot gait. You’ll notice a very distinct impact peak (first bump) and a larger active peak (second bump). You’ll also notice that the slope of the first bump (from the x-axis to the top of the first bump) is quite steep. What kind of foot contact pattern made this graph? Nope – not a heel striker – but a midfoot striker. In fact this woman is about as midfoot as possible – her foot came down completely flat down at contact. I know ….this runs counter to a lot you’ve been told right? Hold on – let’s keep going. Now look at runner #2’s graph. Notice the single mountain (or peak). Notice that the slope of the line from contact to peak is quite less steep than that of Runner #1. A LOWER loading rate! Guess what kind of contact style this runner utilized? A heel-strike. Yes. You read that right. A heel striker had a lower loading rate than a midfoot striker …..in this situation. What gives? The media tries to make things simple. They say that “mid-foot” or “forefoot” is better than rearfoot. I love reading running forums where people with way too much time on their hands armchair quarterback running styles. They look at a picture or video of a contact pattern of some guy running across the screen and say “wow – nice midfoot strike –that runner is efficient.” They don’t know who the runner is, or what his time was for the race. They just saw a foot strike and proclaimed him efficient. Then they’ll scroll down and see some picture or video of some guy heel striking and proclaim that he/she is an “in-efficient” runner based on the heel strike. This “in-efficient” runner might be an in-efficient runner. Or it might be Meb Keflezighi (a runner who is just a bit faster and more efficient and than most of your reading this post). You see, these arm chair-quarterbacks aren’t very good at identifying efficient gait. Fancy force plates are. I do this for a living and still need data from my lab to give me the answer because no one can actually see forces. So what have we learned from these fancy force plates? Its NOT rear-foot or midfoot or forefoot that matters – its where the foot contacts in relation to the body’s center of mass. As I stated above, I picked some outliers just to make a point. It is true that for MOST runners, adopting a midfoot or forefoot gait style will lead to decreased loading rates. However, its not because the foot lands differently, its because a rear-foot style typically allows you to land with the foot farther in front of the body’s center of mass (over-striding). Switching to a contact style that moves the foot closer to the body’s center of mass usually means that we land closer to the font of the foot. But not always. Let’s look at the elite runners to dig a bit deeper. To run really fast, it’s very simple. You either increase your stride rate or your stride length. Simple right? Stride rate- this is also referred to as cadence. Cadence ranges in cycling are pretty variable. Cyclists use anywhere from 45 – 140 rpm in competition, depending on the event and terrain. When we look at running, you’ll notice that cadence for middle distance through marathon distance typically ranges from 88-96 rpm. This is a much narrower effective window than cycling. We’ll look more in depth at cadence in a later post, but for right now, its safe to say at the elite level, there isn’t a huge difference in cadence values. Stride length –if cadence values are held fairly consistent, the only other way to run faster is to adopt a longer stride length. The stride length of someone running 4:30 miles is significantly longer than running 7:45 miles. What we see is that a number of the elites land on the rearfoot, but their center of mass is still very high up at the time of contact. When running, you are a projectile in the air with your center of mass following a parabolic curve. So even though the elites often “contact” on their rearfoot, they don’t really have much pressure (force) on it until their center of mass lowers to the ground. This effect produces a low loading rate with a heel contact, and is exactly what occurred in runner #2 above. So let’s summarize what we’ve said about contact foot contact style. For most runners, landing closer to the body’s center of mass is an effective tool to lower loading rates. Barefoot running, minimalist running, and increasing cadence (faster cadence means you don’t have time for your foot to reach out far in front of the body) are all effective tools to accomplish the end goal of decreasing loading rate. This being said, contact style is NOT the only way to decrease loading rate. Its possible to have lower loading rates with multiple foot contact styles, and other factors as well. ***Note: Unless the person is accelerating, it is not possible to have the foot contact directly under the center of mass. At steady state, the foot does (and should) contact in front of the center of mass. We said that, in general, a foot contact closer to the center of mass would decrease loading rate. On the flipside, posture can be utilized to alter the center of mass in relation to the foot. Most of us stand, walk, run, etc with poor posture. Take a look at the runner below. 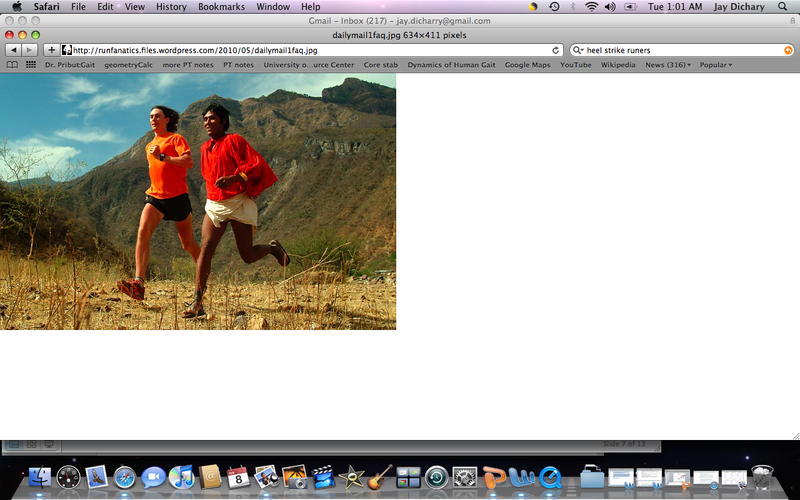 The runner is in exactly the same phase of gait, except for a more arched low back on the right than on the left. The posture on the right is typical to most runners. We hang out in the “back seat” with lots of arch in the low back. This change in lumbar position moves our center of mass backwards thus causing our foot to land further in front of the center of mass. Therefore, keeping a neutral lumbar spine (not arched) is essential to keep our center of mass over our foot when running – and has the effect of minimizing loading rate. Lastly – gait cueing and limb stiffness. Here’s where things come together, but also show need for additional research. In our lab, when we get someone with high loading rates, we show them their ground reaction force plots in real-time as they run, and ask them to change it. Normally, we don’t tell them how, we ask them to “play” with their graph shape as they run. Most runners figure out how to minimize their loading rates by getting visual cues, or feedback. This is the best way since the runner is aware of the conscious modifications they are doing to alter their loading rates and can see instant feedback to observe success – thus learning! If they don’t “get it”, we guide them through the technique modification so they can see the effects of their form changes as they run. Again – the goal is to get the runner to retain this sensation so they can alter their gait to make long-term changes to decrease tissue stress. On the simpler side, research has been done that simply told runners to “run soft”. These individuals were found to decrease their loading rates. Gait cueing works. How does it work? People modify their contact style, posture, and their limb stiffness to achieve a desired result. Limb stiffness relates to how compliant the runner maintains the knee to modulate the rise and fall of the center of mass. There is more work to be done here to dig deeper, but this should hopefully answer the bulk of questions for now. What does this mean for you as a runner? If you want to try to decrease your loading rate, you need to get your foot to land closer to the body. Barefoot running is a good drill for this since it “forces” you to avoid over-striding. There is evidence that a properly constructed minimal shoe should also lead to minimal loading rates (although no one can say all minimal shoes since the definition of this market sector is so vague). Keep your torso centered over your lower body and avoid the temptation to run in the “back seat”, especially as you fatigue. Yup…. Less (loading rate) = More. This entry was posted in rehab, running, Uncategorized and tagged foot, form, gait, gait analysis, injury, plantar, rehab, running, running form, shin splints, shoes, speed clinic, stress fracture, technique, training on February 8, 2011 by an athlete's body. In your last blog entry, you mentioned that there is a metabolic cost to running with a slow loading rate. Does this imply that we always have to sacrifice speed (pace) in order to reduce injury risk? In other words, can we be faster runners if we throw caution to the wind, run with a fast-rising loading rate – with its increased risk of overuse injuries? good to hear from you! – great question. From a scientific standpoint, all we can say right now is that there is likely a “neutral zone” where these parameters are optimal for both economy and injury – this zone likely skews a bit for different runners based on their mass, leg length, and velocity….more work needed here before we can make blanket statements for all. At this time, this is best looked at via a case by case basis. Great post Jay – I like how you really distilled things down. Do you view real time cadence feedback as a possible alternative to having a runner see force curves or accelerometer plots? Seems like cadence would have the greatest potential for application by someone without access to a high tech lab. cadence is a super easy variable for folks to keep track of. The great thing about cadence is that it can be used when doing easy runs, long runs, or even racing. 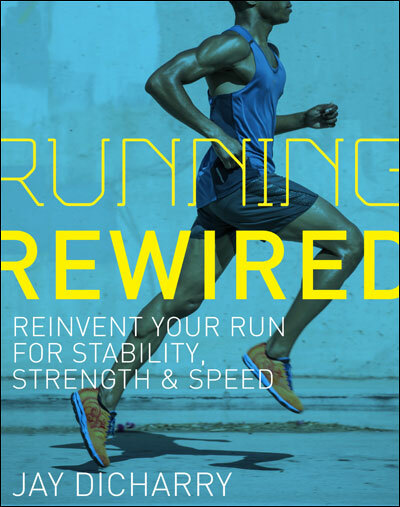 The worst thing that can happen to a runner is when you become so fatigued (due to volume or intensity or both) that your form truly changes….now you are running with a compensated gait style. This places loads on your body that you aren’t accustomed to….or don’t train/prepare for. Keeping cadence in check when fatigued can help minimize these changes in form. Great point. I’m surprised by your broad suggestion that landing nearer to the center of mass will reduce loading rate as without other compensating factors it will lead to high peak vertical GFR and likely high loading rate. It’s these compensating factors that will be the crucial and worth investigating and highlighting and I would suggest the center of mass is in fact a misleading cue. To understand why I suggest this I’ll dig a little into the some of the principle mechanics, and start by assuming that cadence is constant and the landing position relative to the center of mass is changed. Since we have to remain in balance when run at a steady pace, if we move the landing to near the center of mass then we will have to also move the point at which will unload the foot and lift it off the ground once the center of mass has passed over the foot. Putting these two factors together – landing and lifting off nearer the center of mass the ground contact time has been reduced, so we have less time to generate the required vertical GRF. With less time to generate the total vertical GRF the peak will have to be higher, this also directly means that the loading rate that is required to achieve that peak also has to go up. I repeat, if you don’t change cadence or other aspects of the gait, just landing closer to center of mass will reduce the ground contact time and thus increase both peak load and the loading rate. Given this basic mechanical relationship if using landing closer center of the mass as cue to reduce loading rate then other aspects are clearly more than compensating for the reduced ground contact time. What might it be? Is it landing with more bent knee? Is it lowering the activation of the muscles prior to landing so that loading rate is lower? Changes in foot position and loading? A mixture of all the above and others besides? I feel it’s an important to sort out what are the crucial aspects as the concept that landing closer to the center of mass as cue is from a mechanical point of view broken. great insight. a lot of your points are valid, but there are a few things worth mentioning. People are people. They rarely change one isolated thing without changing other things as well. Landing closer to the COM does a number of things to the runner, and one of those very powerful things is changing limb stiffness and knee flexion angle (or how much the runner allows the body to rise and fall in relation to the center of mass). 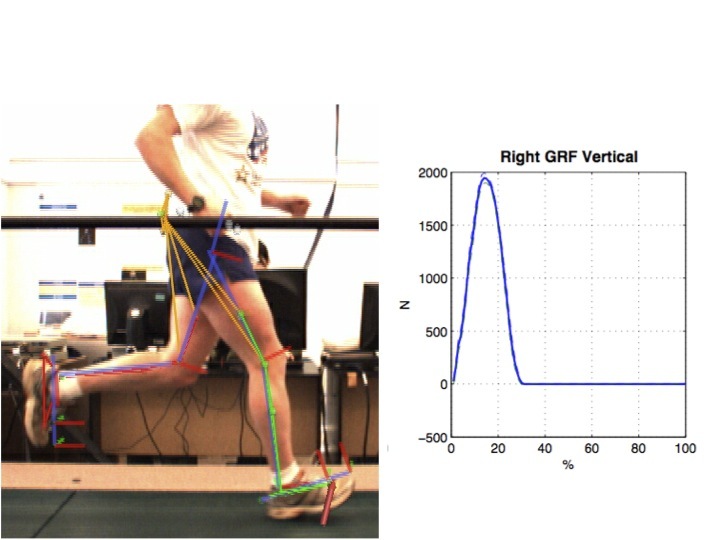 Running can be simply defined as an inverted pendulum model – except for this very critical relationship of stiffness vs compliance at the knee. We don’t know *exactly* what this relationship should be for each and every runner with a given limb length, given speed, and given mass. More work is needed here from the scientific point of view. This being said, the cues I highlighted in the post are the most successful (in decreasing loading rate) we’ve found using the data that we collect each and every day. To maintain height of the body’s centre-of-mass through a whole gait cycle, the vertical impulse during stance must be equal and opposite to the vertical change of momentum during flight. Hence, if flight duration is constant, vertical impulse must be constant. If stance duration shortens but flight duration remains constant, then the mean vertical GRF component must increase to maintain the same impulse over a shorter time. However, this does not necessitate a higher loading rate because although the force-time curve will become shorter and higher, the shape is independent and can change to a reduced loading rate so long as the area is conserved. Hence, changes to gait can both reduce stance duration and reduce loading rate at the same time without contravening Newton’s laws. Thought provoking post, thank you. Having the goal of “running soft” seems more flexible and achievable than trying to specifically force a different foot strike. Frankly, it was some of the earliest and most helpful advice I received as a runner, and I know it is an area that I and, judging from the heavy foot strikes you hear at most races, other runners can certainly continue to improve upon. great info, Jay and co. keep it coming! Great summary. Having been a subject in your lab it is amazing what your evaluation and data show that allows a runner to make the “correct” corrections. it gets dangerous when advice is given to change things when we do not know what they are doing in the first place. Thanks for sharing your experience and knowledge with the general public. I enjoyed reading this post. It obviously showed that a better stride with less impact is obtained by changed your overall posture, and not just your footstrike. However, I do have a question: How can we know that the lady with a midfoot strike in the first photo is utilizing the way her foot lands by using a structured shoe? What I mean by this is how do we know that her foot is getting a full range of motion used when barefoot or in minimal footwear? I’m no scientist, but I have heard that the flexing of the foot and arch helps absorb initial shock in a stride. I have also been told that the natural flexation of the foot is more prominent during a midfoot or forefoot strike. I can’t say that I have any evidence to back this up, I’m just curious. Eshan – that’s the point. Gait analysis shows WHAT someone does, not why they do it. There is no way to say with 100% confidence that everyone needs to run with an identical style. In other words – we are not saying that the shoe made her run that way, we are simply saying that in the shoe that is the way that she runs. Yes the arch is a mobile adaptive structure. It should be allowed to move. Thanks for that. I’ve been feeling frustrated that my shoes still have a wear pattern showing I am a heel striker. But that may not be bad after all. I hope one day I can splurge and come to your lab to find out if I am efficient after all. Until then I’m just going to try to run fast and light. I love the post and your published work over the past years. I am wondering if you have other means of influencing an “overstrider” who couples this with an excessive anterior pelvic tilt/increased lordosis. I have a very elite triathlete patient with a torn labrum and both proximal hamstrings torn (although I have been told that the one hamstring is fully healed from stem cell injections). Do you ever advocate a slight posterior pelvic tilt? an increased hip drive? or anything else beside changing the position of foot strike or cadence. I don’t have an accelerometer I can attach to a tibia bone pin. She has tried much of what you previously recommended. I’d get the labral injury adressed first. This needs to be fixed to get normal arthrokinematics at the hip. I don’t really advocate posterior pelvic tilt. The muscles that bring you into post tilt are not postural muscles, they are movers. These movers will fatigue and then you’ll be right back to a compensated lumbopelvic position (anterior tilt). Yes post tilt will dec strain on the hamstrings, but its not something an athlete can maintain for large volumes or high intensity. Thanks for sharing all this valuable information. The pics help drive it all home. I attended your panel discussion in Shepherdstown and have been down to Two Rivers since then for shoes and the running clinic. Such a process, but one that I am sure will pay off in the long run! Great stuff. 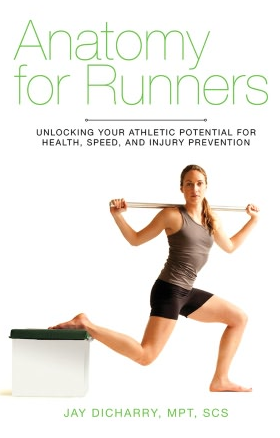 I also work in the gait re-education sector for rehabilitation of runners. I too used to advocate a neutral spine but now promote a slightly increased anterior tilt to move the centre of mass (COM) forward. You say that a relative posterior tilt/neutral pelvis moves the COM forwards. Unless I’m missing something the COM actually moves backwards in relation to foot position. This can easily be demonstrated by standing and feeling the pressure under the forefoot in an anterior tilted position then under the heel with a posterior tilt. The ant tilt also promotes earlier tension in the hamstring of the swing leg thus reduction in stride length and foot contact closer to COM. The other wider issue is does increased GRF lead to increased injuries? No doubt it does for some but only if the injury is due to increased shock loading. If the injury is related to prolonged eccentric loading then decreasing GRF by way of increased knee flexion for instance may increase this load and cause further injury. For some we are promoting reduced GRF for many others we are promoting increased joint stiffness. Your thoughts on pelvic position appreciated as we argue about this one alot. I’ll help clear up a few points. 1. if you shift into anterior pelvic tilt, the lumbar spine goes into extension, thus shifting COM backwards – thus the foot lands more anterior relative to the COM. There are some folks who don’t compensate this way, but its true for 95% of folks. 2. your thoughts about hamstring tension don’t really end up working. If you look up research by Chumanov, Franz (from our lab), Thelen, and Heidersheit, you’ll see that increased ant tilt places additional strain on the hamstrings -making them more likely to be injured. not good. 3. If you look at joint power, you need to increase force coming from hip extension as speed goes up. If the pelvis goes into anterior pelvic tilt, the hip goes into flexion – ……the opposite of what you’d like to occur. Lastly -GRF peak and loading rate are different. PEak GRF is related to body mass, vertical rise and fall of COM, and speed. That’s it. it can be only VERY VERY slightly modified. Loding rate has been implicated in a number of studies to be a factor in overuse injuries. I referenced 2 in my initial post. I’ll try to answer a few of your comments below. My comments are not based on my opinion, but rather things we measure objectively. You say that a relative posterior tilt/neutral pelvis moves the COM forwards. Unless I’m missing something the COM actually moves backwards in relation to foot position. NOPE – didn’t say this. I said that moving the SPINE into neutral (which WILL slightly decrease the anterior pelvic tilt) puts the COM in its ideal location. If done correctly, this can be measured and checked in our lab and felt by the runner. Posture needs to be practiced daily – not just when running! uh oh……this is NOT true. In fact, there are 3 studies that show that the excessive anterior pelvic actually INCREASES peak strain on the hamstring muscle belly, and is the suspect mechanism for why we see hamstring strains. I’ll strongly echo this research (one of the studies was done at our lab and 2 at U of Wisconsin) dealing with individuals with hamstring strains. Do not bias them into increased tilt – you are placing the tissue at a mechanical disadvantage. The other wider issue is does increased GRF lead to increased injuries? agreed. in some cases it does, and in some it doesn’t. The peak GRF is dependent on the mass of the runner, their speed, and to some extent their technique….although most runners learn to self-optimize their peak GRF. I’d say the point is this – can you “deal” with these high forces? If you have the dynamic strength and control to do so, then yes. 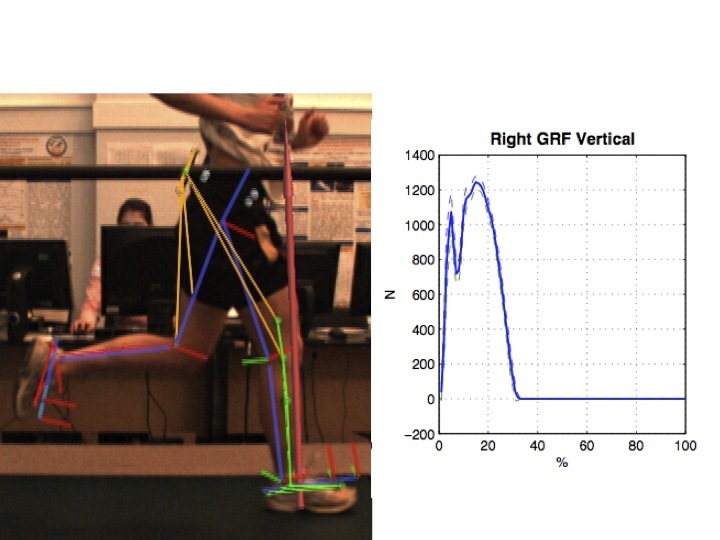 If you can’t and you introduce compensations into your gait pattern (altering the joint torques that overstrain individual tissues) just to make the net GRF picture look pretty, then yes – you are well on your way to an overuse injury. This may sound a bit vague, and it is when applying this kind of statement to populations as a whole. Yes on an individual eval, its quite easy to see where an individual’s tissues are being overstrained from a mechanical standpoint. I’ve read numerous places where running uphill has less impact than the body than running on level ground. Is this due to the incline leading one to strike the ground differently or is it the force of gravity making up for force normally applied by the runner? I’ll have a bash as none has offered an opinion. I believe there is several possible factors that mean that running uphill will result in lower impact. First up you are running much slower so the ground contact time per stride is much longer so the actual impact loads are lower. Secondly the muscle loading will be predominately concentric as the foot is moving back and descending relative to the center of mass so the leg is extending for more of ground contact – think about running on an inclined treadmill to understand this. Concentric loading (loading while shortening the muscle) is less stressful on muscles than eccentric loading (loading whilst lengthening the muscle). The converse happens when running downhill – you are faster, shorter ground contact time and heavier loads, along with eccentric loading dominating. This is why if you aren’t used to running downhill it can really hammer your quads. The effect of concentric vs eccentric loading on muscles will also go to explain why cycling is much less likely to cause a heavy dose of the DOMS as it’s dominated by concentric loading for generating power. This makes cycling a good low stress exercise for recovery days. Another interesting factor is concentric loading requires more energy input than eccentric loading, in fact the later will be a lot to do with absorbing and storing energy. This is why running up hill is so taxing on heart, lungs and energy production in your legs, while running downhill is relatively easy on heart, lungs and energy levels. This muscle level view all ties in the actual potential energy being gained or lost by moving up or down hill. In terms of landing, you’ll be more inclined to land on your forefoot when running uphill simply due to the incline, this will typically make the landing a little softer, but will put more loading on the foot and Achilles tendon and soleus calf muscle. With a steep hill your heel might never touch the ground, which will make the running gait a little similar to sprinting, but without the intense loads, rapid leg speed and long stride. Given the difference in loading of the Achilles and Soleus this could become overloaded and prone to strain unless you are used to running uphill. It will still be far less strain than sprinting though, so doing steep hill reps is probably a good lead in to adding sprinting into your training. You talk about cadence, where on the foot you strike, and where you land relative to your body. A 4th element that I consider is the direction of the foot when striking the ground. Are you shuffling – the foot is actually going forward when it hits the ground – landing flat with a thud, or pulling back? If you’re pulling back while landing under your body mass, I would reckon that you have a low loading rate, whether you land forefoot, midfoot, or heel. Have you looked at that? What are your thoughts? Adam – the direction of the limb does have an effect. To say you are pulling back or landing with a thud is very subjective- you can’t make an objective statement about this. However, we do look at joint powers (absorption and generation of he limbs). This is all taken into account under limb stiffness though. I don’t think it’s subjective (“thud” may have been a poor word choice). I think you could actually measure the vector of the foot relative to the ground when it hits. If your foot is still driving forward when you hit the ground, or pulling back (relative to your body) slowly, it will be moving forward relative to the ground when you strike – a shuffle stride. The sound is like sandpaper. If you run with your shoes loose, you’ll feel your feet sliding forward in the shoe. This results in braking, requiring extra energy to regenerate forward momentum. I would also expect added horizontal as well as vertical loading. An efficient pawback (subjective term referring to an objective measure) is where the foot strikes the ground pulling back faster than you are moving over the ground. This maintains and generates additional forward momentum. Of course this is really a continuum, not binary. Of course where you land on your foot, where you land relative to COM, direction/speed of foot travel, and cadence (time on ground) are related, and no single one is the holy grail. For example, I could land under my COM, on my forefoot, with a shuffle. Or, I could land with a strong pawback but in front of my body (it’s easier to push a mass away from your COM than to first have to pull it in from away from you). Another question: How much does using a treadmill, with a rolling surface distort the measurments and affect the stride? I’ve found that it’s extremely hard to shuffle on a treadmill. Andrew – i agree its not one simple thing that effects everything else – that’s why I didn’t say this in my initial post. I did pick 3 things, I picked the 3 biggest things that have a lot of effect on other factors. It was not meant to be an exhaustive review for academic work. The key aspects the forces that we apply when are feet touchdown through to pushing off is the moments that they generate about our center of mass. If we generate a force vector that doesn’t align with our center of mass a rotational moment will be produced along with a rotational oscilation of the upper body. If you want a good steady and relaxed upper body then you need to generate a combination of horizontal and vertical forces that go approximately through an area just behind your navel. To achieve this when you land with foot in front of you you also need to generate a small breaking force to keep the force vector through the your center of mass, and when you body is over your foot the force vector should be vertical, and on push of you want to push through your center of mass. If you alter this, by doing a pawback then you will generate a rotational moment on landing that will pitch the body head backwards, and to compenstate with have to push off more strongly and vertically when you leg is behind you, just to keep you body for falling over backwards. What ever you do, if you do actively use a pawback you want be able to stop the oscilation of the upper body though. The same goes if you push off to horizontally you’ll pitch the body head backwards, so to compenstate you’ll need to land and generate greater bracking forcing to pitch the body back to prevent yourself form pitching all the way on to your back. Next time your running check you upper body – is it pitching back and forwards, if so work on generating the forces through your feet that generate the the force vector through the center of your body – the small breaking force on landing and small horizontal force of push off should be in balance with each other and the forces your generate vertically so that the force vector doesn’t generate pitch moments about your center of mass. Excellent summary and comments. Didn’t read everything, but I notice the PEAK LOAD is significantly higher for the heel strike, over 50% higher. Were you misquoted in this Running Times article? I did NOT say the quote posted in your comment. When I clicked on the link you reference, it does not say that either. I’m confused as to why you thought I said this as it is not true. IMHO, the way that paragraph is written, the statement could be attributed to you. I’m glad that’s not the case. Have you looked at the direction and speed the foot is traveling at time of impact? I would think that whether the foot is shuffling forward (making that sandpaper like sound), landing with a thud, or pawing back, and the speed/force of the pawback, might be as important a factor in efficiency and determinant of load rate as fore/mid/heel strike and position relative to body mass. Of course they’re all related. Pingback: My running form dilemma – Too. Many. Running Shoes. You should pick up a copy- we have around 90 references or so in there. Hi Jay, you’re doing some really interesting work, and it’s great to read about it. I want to pick a small hole, not for the sake of doing so, but to discuss. The lumbar extension picture. 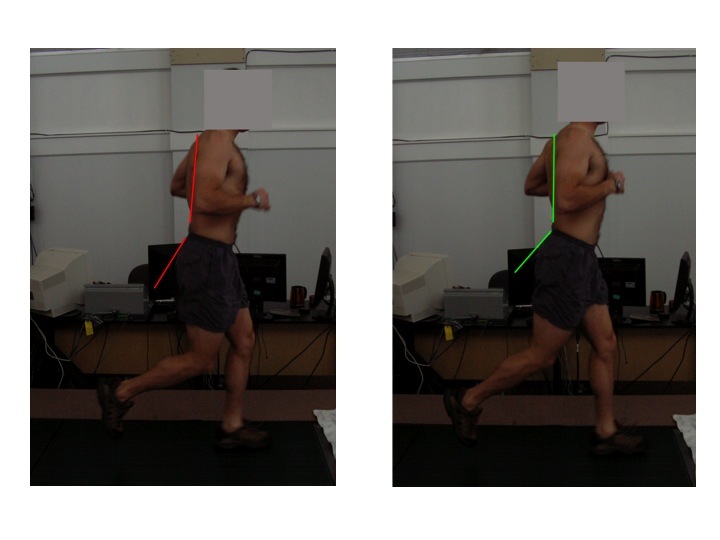 I know it’s a snapshot in time, and I know they are the same person in the same phase of the gait cycle, but a) the two pictures are in minutely different parts of the same phase, b) the lumbar extension you’ve measured is surely subjective viewing on a 2D screen, and c) since the pic on the right has the trailing leg in a little more hip extension than the pic on the left, this creates a subjective view of more “extension” – being hip extension, not lumbar. A subjective look at the chest line, and back line, shows it to be similar if not the same, so the only variable here is that the trailing leg is a little behind the pic on the left, creating a subjectively greater angle – hip extension angle. So, that’s a small hole, and it doesn’t detract from your point about lumbar extension as a wider statement. Then, lumbar extension/anterior pelvic tilt couple is less of an active conscious choice in running and more of a reactive circumstance to a) possible hip extension range of motion limitation, b) hip extension motor control being less than optimal. That reaction creates a different intervention than cueing lumbar control. Hi Greg – thanks for your comment – although I’m not exactly sure where you are headed. Pics on a blog are nice, and sure there are some sublet differences in the pics, and I didn’t spend all day trying to exactly time align them. But that’s not the point – the pics are showing 2 different postures, but the lab data that is MEASURED tells the bulk of the story – and lumbar position has a very pronounce effect. Now…..as far as your points on lumbar posture being dependent on a) the presence or absence of available hip range and b) hip extension NM control –> SURE! – and this IS different than cueing. But…..I see a lot of people who DO have hip ext, and may in fact be able to fire correctly in exercise – you still must close the loop and cue this into gait. We don’t train “exercises” – we train motor patterns – and its critical to ensure that as we improve mobility and NM activation that we always put that into practice. Of course an individual patient’s limitations impact what we hit first, but all 3 components (mob, activation, and run mechanics/cueing) are all of equal importance. good luck! Thank yo for the article, can you please provided some academic literature which supports your argumentation?